Decorated Shrine of Imam Hussain in Karbala. Ashura, or the 10th of Muharram, is commemorated by millions of Muslims around the world. In particular, lovers of Imam Hussain and the family of the Holy Last Messenger (peace be upon them) commemorate the sacrifices of Imam Hussain and his family at the hands of Yazeed’s army at Karbala, a desolate place located in Iraq. This event took place in 61 AH or the late 7th century, and had been foretold by the Holy Last Messenger (peace and blessings be upon him) who stated: “Indeed my Ummah shall kill this son of mine.” (Mishkat al Masabih) This was in reference to Imam Hussain, upon him be peace. Yazeed was a well-known debauched ruler, openly involved in drinking, adultery, and other horrific acts. He had been chosen by his father Muawiyah, to be the next ruler. But Yazeed knew that his hold on authority would be weak without the Bayat (allegiance) of some prominent religious authorities, and in particular, the Holy Last Messenger’s own grandson, the Honorable Imam Hussain ibn Ali (upon him be peace). With this in mind, Yazeed sent messages to his governors to force Imam Hussain to give this bayat to him or to have him killed. Eventually, Imam Hussain took refuge in Makkah tul Mukaramah, where he remained with his family and close companions for many months. While in Makkah, Imam Hussain began to receive delegations from the city of Kufa, a city of people who had shown their untrustworthiness during the time of his father Imam and Amir ul Mumineen Ali ibn Abi Talib (upon him be peace ). These delegations came quite often, soon followed by letters signed by all the chiefs of Kufa. The people of Kufa were entreating Imam Hussain to come to Kufa. They did not want Yazeed as a ruler and wished for Imam Hussain to come lead them. They promised support in men, arms, and wealth. Imam Hussain received thousands of letters, so much so, that he could not ignore the entreaties of the Kufans. Thus began the journey that ended at Karbala, where the beloved family of Imam Hussain was surrounded by an army of 22,000. An army which consisted of several individuals who had written the letters carried by Imam Hussain. But as before, the Kufans had backed out. At that point, it was only Imam Hussain and his family and loved ones who stood alone in the searingly hot desert, deprived of water for three days, then ruthlessly slain one by one. Yet Imam Hussain remained firm, never wavering in his determination. He never gave bayat to the corrupt and filthy Yazeed. Instead, when Imam Hussain stood alone, with all of his family martyred, he still advised the rebellious army facing him; reminding them that their deeds would only lead to a ruinous end. 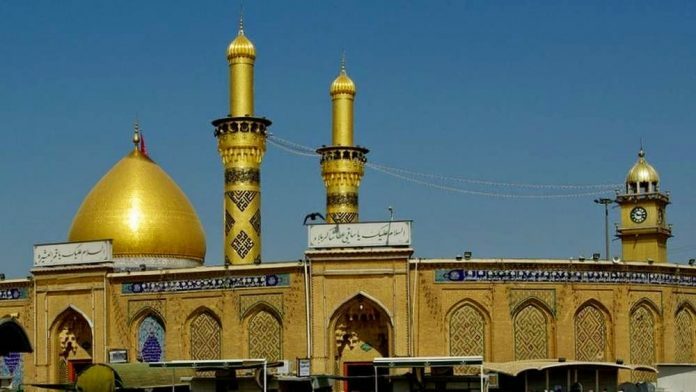 Imam Hussain exhorted them to take heed, for he was the grandson of that Holy Messenger (peace be upon him) that they claimed to follow and revere. Unfortunately, his speech fell on deaf ears, and after a confrontation, during which many of the opposing army were killed, they finally martyred Imam Hussain, upon him be peace.